John has a creative arts and business background. He was a professional actor for ten years working in theater, film and television in England, Scotland and Europe. Later he launched his own publishing company, Marketing Media. It was during these years, John became acquainted with the Alexander Technique. In 1982 he was persuaded by the Director of the North London School for Alexander Technique, Misha Magidov, to enroll in the three year/1600 hour Teacher Training Program. John completed his training in June 1985 and was admitted as a full member to the Society of Teachers of the Alexander Technique, STAT. 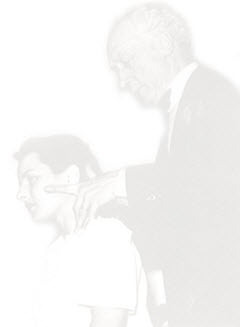 In February 1986, John moved to Rome, Italy to establish a private practice teaching the Alexander Technique. Within six months, he had established a full practice working with musicians, chronic pain patients and people from all walks of life. In 1990 he was invited to address the National Conference for Rehabilitative Medicine at San Camillo Hospital in Rome. John led many workshops in Italy, Germany and England during his “European period” of teaching the Technique. In 1992 he took the California plunge and moved to the San Francisco Bay Area with his family. Once there, he quickly established a successful private practice in Sausalito, CA. In his practice, John has collaborated with many health care professionals; acupuncturists, physiotherapists, speech and language therapists, medical doctors, etc. He has worked extensively with performing artists who have suffered “on the job” injuries (he works in-house for the San Francisco Ballet and the San Francisco Opera), as well as people who suffer from repetitive stress injury (RSI) and general muscular skeletal problems. Outside his private practice, John is the Co-Director of the Alexander Education Center in Berkeley, CA, a training school for future teachers of the Alexander Technique. He has presented numerous workshops at Universities and Colleges and taught his own course “Tension and Performance” as a credit class at California State University, Hayward. He devised his Kines-Tech program (see Links page)and an in-house postural re-education training program that addresses the prevention of “over-use” injury in the workplace, which has been commissioned by by several Bay Area corporations, including Firemans Fund and Google, Inc. A full time teacher of the Alexander Technique since 1985, John has over 30,000 hours of hands on teaching experience. John recorded F.M. Alexander’s “The Use of the Self”, one of Alexander’s most important works, as an audio book on tape for Big Sur Tapes. He continues to teach workshops and week long residential courses in Europe, as well as the United States (including the annual Malibu retreat for ATWI), but his main focus is in working one on one from The Alexander Technique Studio in Sausalito. John receives referrals from speech therapists, MD’s, and teachers of voice to work with many challenging vocal conditions including: people who stutter, spasmodic dysphonia and general conditions of vocal strain. He has worked with many professional voice users, from actors and singers to lawyers, clergymen and women and radio personalities. More on his VOICE WORK here. At times it can be an enjoyable experience to study the Alexander Technique at a Residential Course. As John has developed special workshops, trainings, and classes for diverse groups he has been able to devise varied approaches that make learning the Alexander Technique fun and informative. In Italy he ran courses in his own program, ‘Tension and Performance’ in Rome and helped organize annual alternative health workshops and retreats in Zagarolo. In Germany he taught a three week program for the ‘Institute for Functional Voice Research in Darmstadt and also taught annual residential courses for ‘Weg Der Mitte’ in both Berlin and Kloister Gerode. In the USA John has devised credit classes for California Universities, taught groups of performing artists at residential courses and developed trainings for corporations including Google Inc. He has also worked at the ‘Sundance Film Festivals’ Theater Lab in Sundance, Utah and at the Esalen Institute in Big Sur California and is part of the teaching staff at the annual Malibu Retreat – see links.